A five-year offshore drilling plan announced on Friday blocks the planned sale of new oil and gas drilling rights in the Chukchi and Beaufort seas north of Alaska. 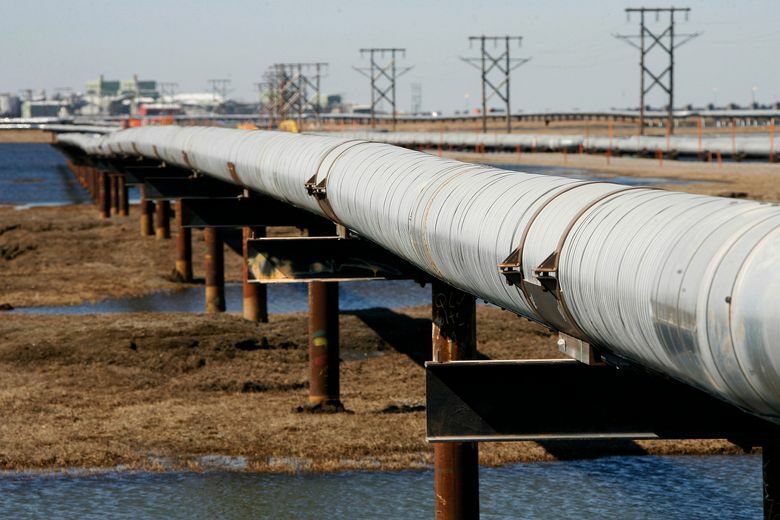 The plan allows drilling to go forward in Alaska’s Cook Inlet southwest of Anchorage. “The plan focuses lease sales in the best places – those with the highest resource potential, lowest conflict and established infrastructure – and removes regions that are simply not right to lease,” said Interior Secretary Sally Jewell. “Given the unique and challenging Arctic environment and industry’s declining interest in the area, forgoing lease sales in the Arctic is the right path forward,” Jewell said. “The arrogance of the decision is unfathomable, but unfortunately not surprising,” said Randall Luthi, president of the National Ocean Industries Association, an industry group. “Once again, we see the attitude that Washington knows best — an attitude that contributed to last week’s election results,” Luthi said, referring to Trump’s victory over Democrat Hillary Clinton. The state’s three Republican members of Congress also blasted the decision. Sen. Lisa Murkowski, R-Alaska, said she was “infuriated” that Obama “has once again ignored our voices to side with the factions who oppose” offshore drilling in Alaska. All of those accomplishments and others are at risk from Trump’s presidency. Trump loathes regulation and wants to increase oil and gas drilling and the use of coal. Trump has said he believes climate change is a hoax and has vowed to “cancel” U.S. involvement in the landmark Paris Agreement on global warming. While he has been vague about precise policies, Trump is likely to seek to weaken or kill the Clean Power Plan, a cornerstone Obama policy meant to reduce carbon pollution from the nation’s power plants as part of an effort to combat climate change. The decision to block Arctic drilling follows a decision this spring to block drilling in the Atlantic. Republican governors in North and South Carolina back drilling off their states’ coasts, as does the Democratic governor of Virginia. Rejection of drilling in the Artic and Atlantic “demonstrates a commitment to prioritizing common sense, economics and science ahead of industry favoritism and politics as usual,” Savitz said.